eLASTIC pLASTIC Live-Cut of "Bewegnung III" psychedelic trance event Halle 400 - Kiel, Germany. 8 new tracks ---> ep LIVE!!! for downloading the files please choose the yellow titles in the list below! All tracks 44 KHz, 96 Kbps und Stereo !! 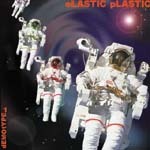 the eLASTIC pLASTIC live-cut of optical meeting in Kiel, Germany as mp3-file! 3 chosen examplesl stereo, 44 KHz, 96 Kbps!! 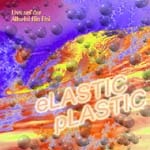 eLASTIC pLASTIC mp3-download A:L:I:E:N D:I:S:C:O NEW! 4 lab 5.21 3.7MB bonus.goa.track ---> check it out! for downloading the files please click the livemap or choose the yellow titles in the list below! Drei Probe-Schnipsel Stereo, 22 KHz, 56 Kbps!! for downloading the files please choose the yellow titles in the list below! all tracks Stereo, 44 KHz, 96 Kbps! !